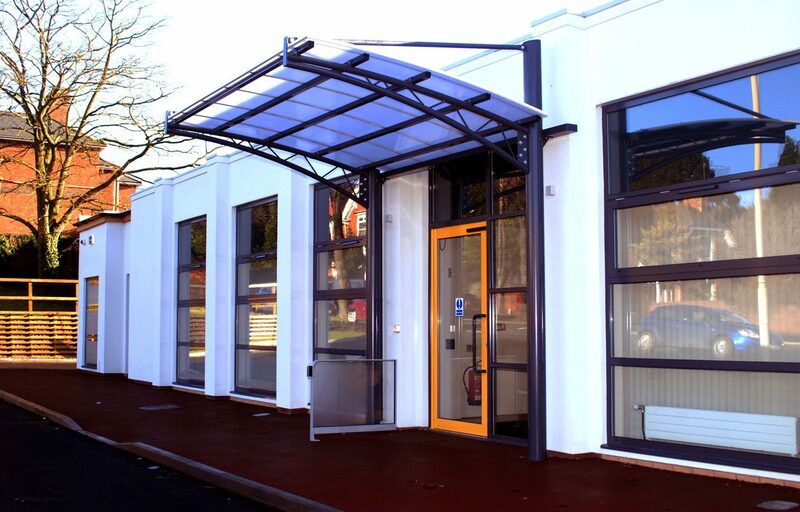 Entrance canopy fabricated for Brettel Lane Day Centre, West Midlands. 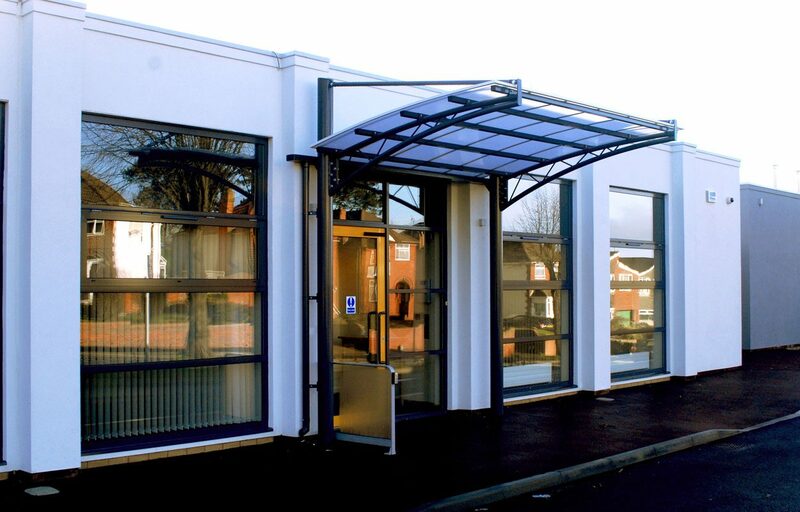 Fordingbridge recently completed a polyester powder coated steel entrance canopy. 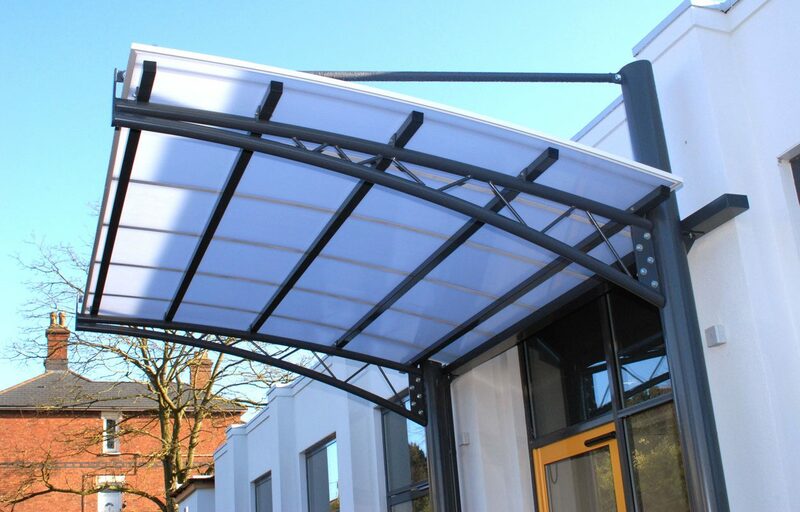 This structure provides its subjects with an area to wait protected from the rain and the sun and also enhances the facade of the building. 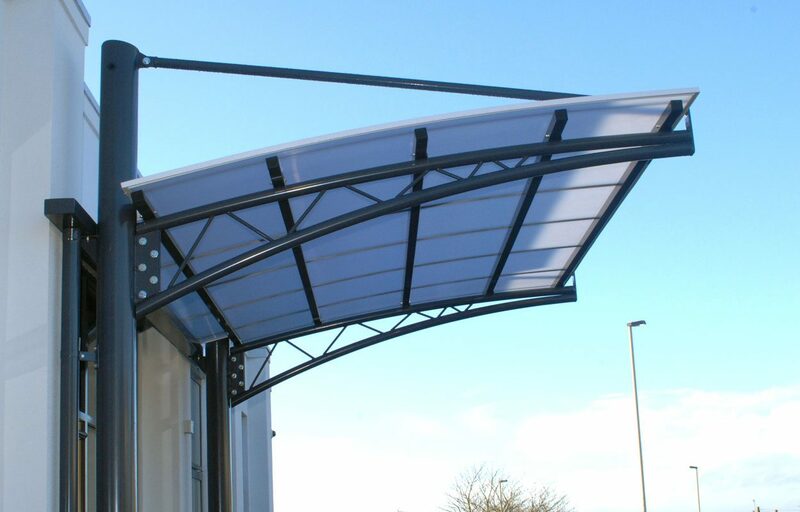 Dimensions: 2.75m x 3.73m. The height to the underside of the lowest beam is 2.6m.